‘Easy and Quick Maddur Vada’ is the long time prioritized menu of my guys at home. These are crispy outer but just melts in your mouth. Some Sundays start as lazy mornings or sometimes with nudges around the corner. This Sunday, nevertheless to say, it is the second part of the earlier sentence. My soul unwilling to come out of its hard shell laziness searches for the stunning breakfast with minimized effort. I need to tell you a secret about this recipe here, Maddhur Vade recipe, super easy, just mixing the flour and deep frying it. No soaking and grinding, usually served along with breakfast or served as a snack in the tea time. This recipe originated in Maddur, a city in Karnataka then slowly became popular beyond its boundaries. 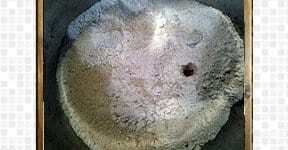 Adding hot oil to the flour is to reduce its oil intake while deep frying. Ginger and asafoetida can be adjusted according to everyone’s taste. It is super duper crispy and tasty if it is served hot. If you are looking for other tea time snack recipes, do check Punugulu with idli batter, Soft-crunchy Samosa ever, Kids-friendly Potli samosas. Mix all the ingredients from the first step with a ladle. 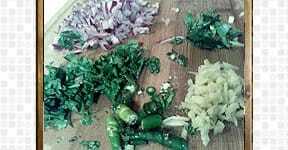 Chop all the ingredients from the second step. 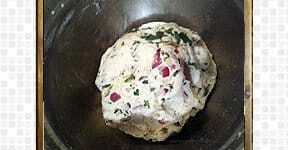 Mix both the ingredients, and keep it aside for 15 min, the dough should be stiff at this time. It becomes pliable after 15 min, once the onion moistures the dough. 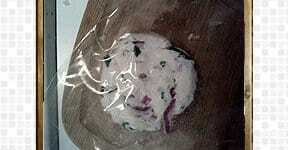 Pat the dough into flat circles, if it brittles then sprinkles little water to make into smooth pliable dough. Using plastic sheets, butter paper or parchment paper helps in achieving perfect flat circles. Heat Oil in the pan and gently drop these into a hot flame, then turn down to medium flame and deep fry them till it becomes golden brown both the sides. 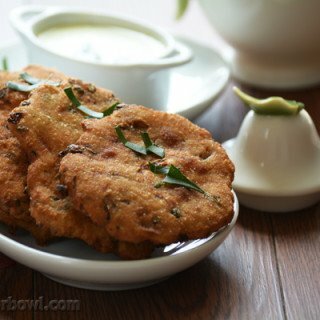 Serve maddur vada with hot, with coconut chutney or coriander chutney. 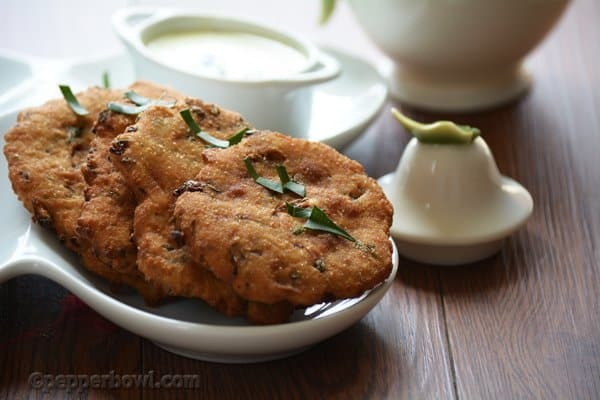 Easy and Quick Maddur Vada is the long time prioritized menu of my guys at home. These are crispy outer but just melts in your mouth. Serve them as a tea time snack or as a side dish for the lunch menu. Add broken cashews, shredded cabbage for the variation. 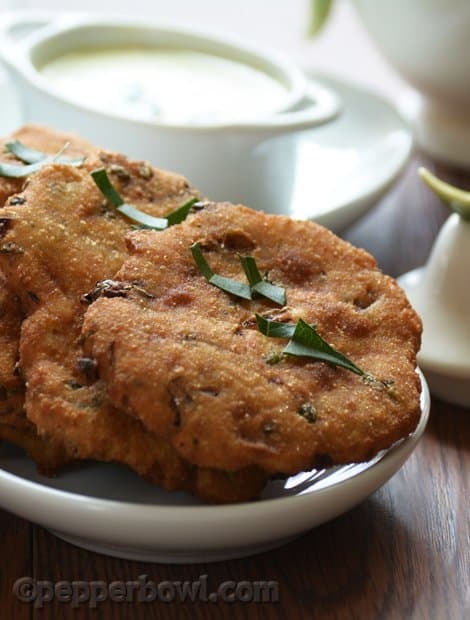 Searching for best chutney recipes to pair up with this Maddur Vada? do check out Coriander Chutney, Instant Tomato Chutney.